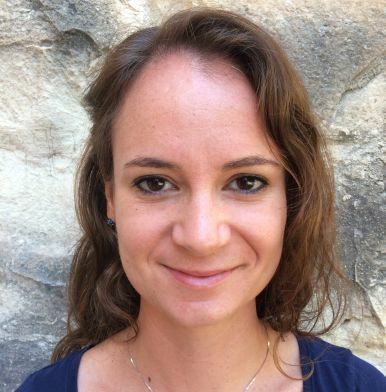 Dr Maxine Anastasi is a Lecturer in Roman Archaeology at the Department of Classics and Archaeology, University of Malta. She read for a B.A. (Hons) degree (2005-2007) and a Research Masters (2007–2010) in Archaeology at the University of Malta, before completing a D.Phil. in Archaeology at the University of Oxford (2011–2015). She has participated in a number of the University of Malta’s past excavation projects (The Tas-Silġ Excavation Project, The Għar ix-Xih Excavation Project), and supervises the University’s current training excavations at the Żejtun Roman villa. She forms part of the team studying the Roman pottery from the Anglo-Tunisian excavation at Utica (Tunisia), directed by the University of Oxford, and leads the pottery study of the material from the recent Brock University excavations at the Lago di Venere Punic site on Pantelleria. Dr Anastasi is leading a new local Research Fund project aimed at studying the characterization of Roman pottery from the Maltese islands (CMCCF) and is a research collaborator for the new RIDT-funded project LARSOCS. She lectures in pottery studies, Punic and Roman archaeology and Fieldwork methods. In press. Tracing identity through industry: Maltese industries in the Late Punic and Roman period. In, A. Kouremenos (ed.) Insularity in the Roman Mediterranean. Oxford: Oxbow. In press. Anastasi, M., Vella, N. C. Olive oil pressing technology in Roman Malta. In, A. J. Frendo and N. C. Vella (eds) Festschrift in honour of Prof. Anthony Bonanno. Leuven: Peeters. Anastasi, M. (2016). Appendix 3. African ceramics in Roman Malta: An Overview. In, D. Malfitana and M. Bonifay (eds) La ceramica africana nella Sicilia romana/La céramique africaine dans la Sicile romaine, Monografie dell’Istituto per i Beni Archeologici e Monumentali, 1, Catania. Anastasi, M. (2013) The pottery from the 1972 excavations at the Żejtun villa. In, R. Abela (ed.) The Żejtun Roman Villa: Research, Conservation, Management. Malta: Wirt iż-Żejtun, pp. 26–41. Anastasi, M. (2013) Phoenician and Punic pottery (review article). Malta Archaeological Review 9, 2008–2009, pp. 77–78. 2012. (contribution within) Docter, R. F., Vella, N. C., Cutajar N., Bonanno, A., Pace, A. Rural Malta: First Results of the Joint Belgo-Maltese Survey Project. BABESCH 87, pp. 107–149. Anastasi, M. (2011) The post-prehistoric pottery. In, D. Tanasi and N. C. Vella (eds) Sites, Artefacts, Landscape: Prehistoric Borġ in-Nadur. Monza: Polimetrica International Scientific Publisher, pp. 159–172. Vella N.C., Tanasi, D., Anastasi, M. (2011) Mobility and transitions: the south-central Mediterranean on the eve of prehistory. In, D. Tanasi and N. C. Vella (eds) Sites, Artefacts, Landscape: Prehistoric Borġ in-Nadur. Monza: Polimetrica International Scientific Publisher, pp. 251–281. Anastasi, M., Bonanno, A., Cassar, J., De Angelis, R., Vella, N. C. (2011) The Żejtun Villa Conservation Project. Viglio, Din L-Art Ħelwa 40, pp. 14–17.